TOEFL (Test of English as a Foreign Language) is an English language proficiency test designed and developed by the Educational Testing Service (ETS). The TOEFL is a comprehensive assessment of English proficiency in four skills: listening, speaking, reading and writing in an academic setting organized worldwide. Faculties graduated from TOP University in the United States such as Harvard University, Stanford University, Amherst College, Texas A & M University, etc. They are experienced and have achieved high scores in the actual exam. Interactive teaching methods 1: 1 is in the use to engage students, give effective exam tips and practice directly with the computer. 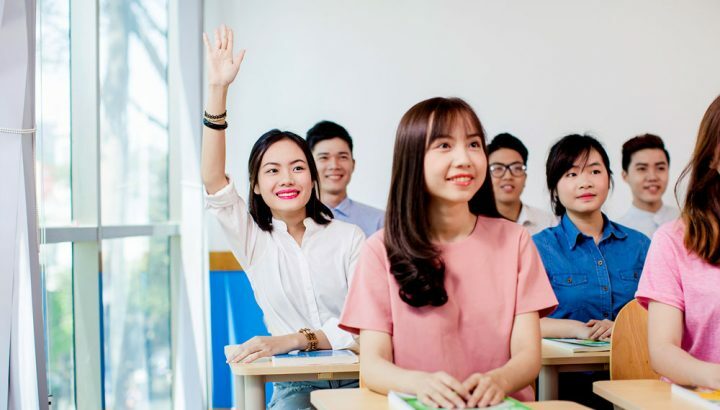 Students practice regularly with the TOEFL format and take the free mid-term and final exams in set-up avenue to experience the rigorous standards of actual exams in a testing environment and space. Students also get to pursue the dream inspired from the teachers who were excellent students returning from many countries in the world.